More specifically, at Davis Mountains State Park. This is one of the species generally charted as Irruptive in the trans-Pecos Region of Texas. Irruptive : may be abundant some years, but absent or rare in all other yrs. Can also denote regularly occuring species in one specific part of the greater-region but exhibit irruptive movements to areas not normally occupied. Hopefully, it will be an Irruptive species' - type season this winter. Though none of these species have yet been abundant, they are beginning to be reported. Here's one I came across during today's visit to Davis Mountains State Park a few miles north of Ft. Davis in Jeff Davis County. 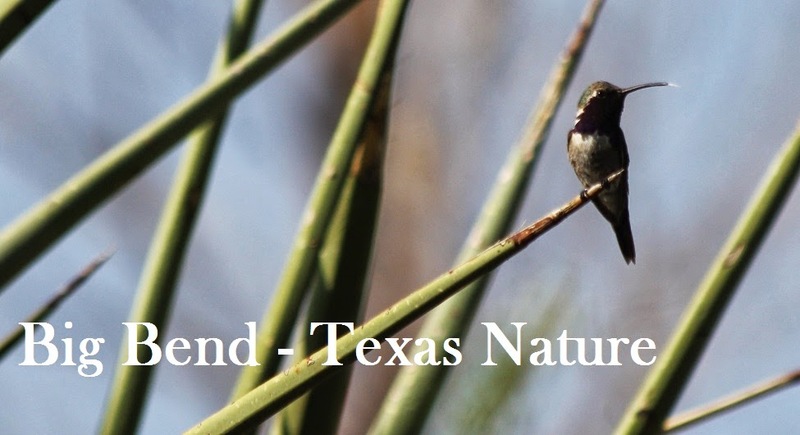 There were recent reportings of many way up in the Guadalupe Mountains of Guadalupe Mountains National Park; fairly well north of the tri-county Big Bend Region. I happened upon this mountain-western species behind the bird blind/water-feature that is adjacent to the Interpretive Center at the state park. Townsend's Solitaire bathing and drinking at the water-feature. We know trees and mid-story shrubs are important for birds. Also, water is an extremely strong attractant to birds. Most (not all) need water to drink and just the sound of a trickle can bring them in. Townsend's Solitaire are pretty much food specialists. That means they don't have any variety to their diet. They've evolved, at this point in time, to forage on a singular item. For this bird, that's juniper (Juniperus spp) berries. I enjoyed observing this bird's behavior off-and-on for maybe 20 minutes. It would drink and bathe and preen then repeat. It would also occasionally fly over my head to the large Redberry Juniper (Juniperus pinchotii) just behind me. That makes sense, right? Very muchly, a mountainous western-portion of this continent dwelling bird. A great far-West Texas species. However, a species we don't see all the time, everywhere, every year. We do see it with an Uncommon-type frequency .... sometimes, in some years; and only out in this far portion of the state. What will this winter show us? A friend of ours on private property in the Davis Mtns. tells me she had "two, possibly three" Townsend Solitaires today. It may be a better year for this species, in our area atleast. We'll see.. In the past we have had them on the West Kerr CBC at Kerr Wildlife Management Area.Will be on the lookout for them this year! Very cool! Kerr WMA is a great place. Hopefully we'll have an irruptive year. Cold front is coming late this week out here. We'll see if it pushes anything down.